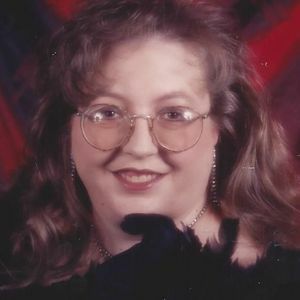 BEECHMONT- Donita Jean Smith, 49, of Beechcreek, died Saturday, May 25, 2013 at her home. Mrs. Smith was born September 13, 1963 in Hammond, IN. She was a deli worker at Wal-Mart and a member of First Baptist Church in Drakesboro. She was also a member of Hazel Creek Eastern Star. Survivors include two sons, Jared D. Smith of Drakesboro and Mikel James Smith of Drakesboro; one grandchild, Jayden Robert Smith of Greenville; Parents, Robert and Janice Stover of Drakesboro; a sister, Charlene Arnold of Beechmont; a brother, Robbie (Lori) Stover of Greenville; a Grandmother, Lucille Stover, of Decatur AL; Nieces and Nephews, Nathan and Kacee Arnold of Texas; Jeremy Smith of Owensboro; Chelsea and Bobby Emmons of Newburg, IN; Lauren Arnold of Beechmont; Cassie Hawkins of Jeffersontown, KY; Alexis Stover of Jeffersontown, KY; and Silver Dawn Smith of Owensboro. 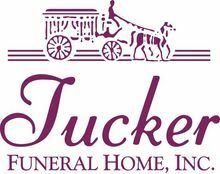 Joint Funeral services for Mr. Smith and Mrs. Smith will be Thursday, May 30, 2013 at 1:00PM at Tucker Funeral Home with Rev. Greg Brooks officiating. Burial in Wyatts Chapel Cemetery. Visitation will be Wednesday after 5:00PM at the funeral home. Eastern Star Service for Mrs. Smith will be 6:30 on Wednesday at the funeral home. The beautiful and interactive Eternal Tribute tells Donita's life story the way it deserves to be told in words, pictures and video. Drakesboro Chapter will not be the same without her. Our thoughts and prayers are with all the family and friends she leaves behind. May you rest with God in his house. Very Sweet lady, gonna be missed. As her husband's Training NCO and Readiness NCO at the National Guard Armory, I spoke with Donita on many occasions in reference to Doug. Those of us who have served in the military, know the value of a good spouse and how much they mean to us. I believe Donita was a good wife and a great supporter of Doug's military career. I also know in every dealing I ever had with her, she was polite, respectful and always willing to help in any way needed. I also worked with Donita at Kmart when it was in Powderly where Rural King is now. I always found her to be polite and kind and a good worker. Donita was a very important part of Doug's military career and more importantly, a very important and most valuable part of his life. May God bless and keep the Family of these good people. Robbie, Charlene, and families...So sorry for your loss...Prayers for your family..
DONITA YOU WILL BE MISSED , YOU WERE A SWEET , KIND PERSON , IVE KNOWN FOR MANY YEARS , WATCHED GROW FROM A LITTLE GIRL TO A WOMAN AND MOTHER , MAY YOU REST IN PEACE ALWAYS , LOVE YOU DONITA , U WILL ALWAYS BE IN MY HEART NOW AND FOREVER . We send our sympathy for the Stover family, we are so sorry for your loss. We will keep you in our thoughts and prayers.